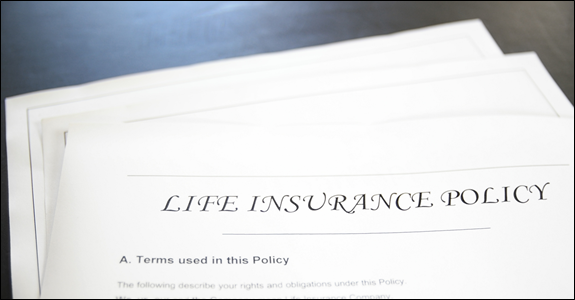 This is the second part of an article which specifically addressed many points to keep in mind when beginning the process of obtaining a life insurance policy of any type. Just to re-cap what we covered in the first article - the primary goal is to have the plan issued with the highest rating and the lowest possible mortality cost. There are many factors which can affect the outcome of the process which again consists of two parts - the application which includes personal and medical information and a medical exam. We addressed 5 important issues in the previous article and in this one we will tackle several more. As stated previously for the most part there are no second chances so it is important to be as prepared as possible from the outset. Some of these may just seem like common sense but it is surprising to see how many times that applicants do not think about the basics. 1) In just about all of the medical exams a blood pressure test is performed. In some cases the blood pressure results are high. This is not always caused by a medical condition - especially one which can have a detrimental effect on the ability of the applicant to achieve a high rating. Most applicants are not aware of the fact that they can indeed ask for another blood pressure test several minutes or a short while later. In some cases if there is no true medical condition that is causing the high blood pressure the second test yields much better results than the first test and that is the one that will be ultimately used as a factor in the underwriting decision. 2) The applicant says that they do not smoke or use tobacco when indeed they are a daily or frequent user of tobacco. Again this just seems like common sense but I cannot tell you how many times this actually happens. The fact that they are a daily or frequent user of tobacco can and will be ultimately picked up in the blood work or by other means. Once there is a statement such as this that is identified as blatantly false all other questions may be scrutinized much more carefully and with a jaded view by the underwriter. An accurate analogy would be lying to a police officer about a specific question after being pulled over. Once they catch you in a lie they can no longer trust what you say after that point and will treat any later statement with an unfavorable bias. 3) The applicant who thinks "fasting" prior to the medical exam means no water whatsoever and they become dehydrated enough to cause on the lab report the blood creatinine to be higher than it should be. One negative result from this unfortunate outcome would be that it might appear that they have chronic kidney disease which in reality they do not. This might be rectified with another blood sample at a later date however at best it will delay the underwriting decision and lengthen the overall process and at worst it could possibly cause the underwriter to issue a lower rating that what should normally be obtained. Drink water! 4) The applicant who is on one or more medications (for hypertension for example) believes that "fasting" prior to the medical exam means taking nothing which includes not taking prescribed medications. According to Dr Jack Cotlar - who is the former Vice-President and Medical Director of AVIVA Life Insurance Company/Indianapolis Life Insurance Company - in the case of the applicant with hypertension this can result in high blood pressure readings. In other cases many negative results occur based on the specific medical issue(s) of the applicant and the subsequent failure to take their medication(s) as prescribed. Dr. Cotlar's assistance and guidance to our firm over the years had been invaluable in helping our clients achieve the highest rating possible from the underwriter when there are one or more significant medical conditions present. 5) Having a specific medical condition(s) is not necessarily negative factor. Obviously it depends on the severity of that specific condition(s). What is most important in this situation is that the applicant is vigilant in monitoring their condition(s) closely, seek medical guidance and visit their physician(s) regularly, follow all instructions given by their physicians, take all tests recommended by their physicians, and of course take their medication(s) as prescribed. Taking the aforementioned steps will definitely help and be a positive factor in the ultimate underwriting decision. 6) Finally - an incomplete application form is a very common reason for a delay in an underwriting decision. It may not negatively affect the decision but will certainly lengthen the process. In many cases this is an issue caused by the agent and not the applicant. That is why it is extremely important to work with an experienced agent who is fully understands the entire process. As stated in the prior article our underwriting department has developed a unique and extensive list of "do's and don'ts" for each applicant which is provided well in advance in preparation for a medical exam. It is critical for us to prepare the applicant as thoroughly as possible to help ensure the best results. In my next article I will cover that in depth along with some final thoughts on this topic.